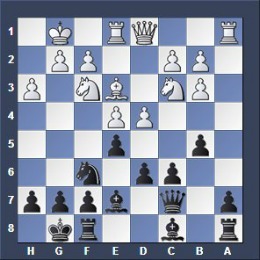 I played this Commented Chess Game as Black using the UNIVERSAL SYSTEM. I made the typical moves without getting distracted by his setup. 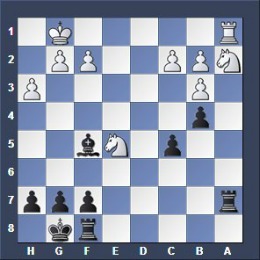 After that I followed strict positional principles and even accepted the loss of a pawn in the process. Soon I reached a winning position where I had two sharp bishops and my opponent had a misplaced knight at the edge which ruined his game. 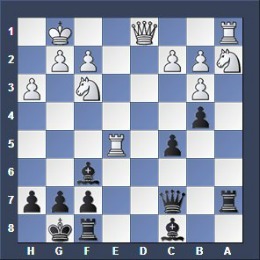 Black prepared to castle quickly or White will attack the weak spot f7 in Blacks position playing Ng5. 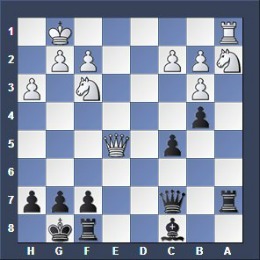 So make sure you can castle when this happens because after castling the rook will protect f7 and nothing can happen. White should have played a4 to stop b5 but he didn't understand my setup. I played my KEYMOVE b5 to control c4 AND to be able to chase his knight later on AND to be able to attack and trade his bishop with my knight at c5 later on. 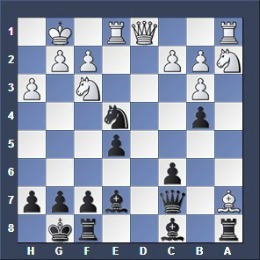 The white bishop at b3 is a very strong piece aiming constantly at your weak spot f7. You MUST trade it if you can. If you trade your knight for his bishop you have the two bishops versus his knight and bishop, this is a slight dynamic advantage in the long run. Get this: Trade your knight for his bishop if you can. I traded my knight for his strong bishop at b3 and have two bishops which is very good. I have a weak a-pawn which is attacked by his rook but I didn't worry about this because I think CENTRAL and want to get his CENTRAL PAWN e4! So I chased his knight and captured on e4 which is more important than thinking about the useless edge pawn at a7. Get this: THINK CENTRAL! A center pawn at e4 has more value than an edge pawn at a7. My opponent did violate chess principles now and traded pawns in the center which opened up the position FAVORING my pair of bishops which love open lines. He traded his bishop for my knight playing Bxa7 capturing the useless a-pawn and my knight at e4. I got his STRONG BISHOP and had two bishops versus two knights which increased my advantage. 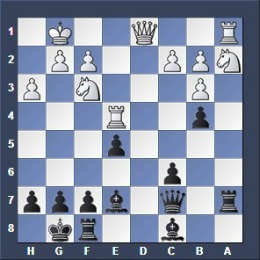 Get this: Don't trade your bishop for knight in open positions! He had to give rook for bishop (Qe1) after I played Bf6 attacking the rook. 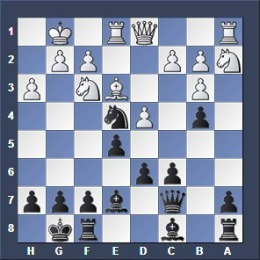 If he retreats his rook I play Be6 and double rooks at the a-file and win his knight. However he had no way to avoid losing the knight. I used the open a-file now which he has opened up for me a few moves earlier to capture his pinned knight doubling rooks along the a-file and he had to resign. Get This: Don't open up a file when the opponent can use it himself to his advantage.